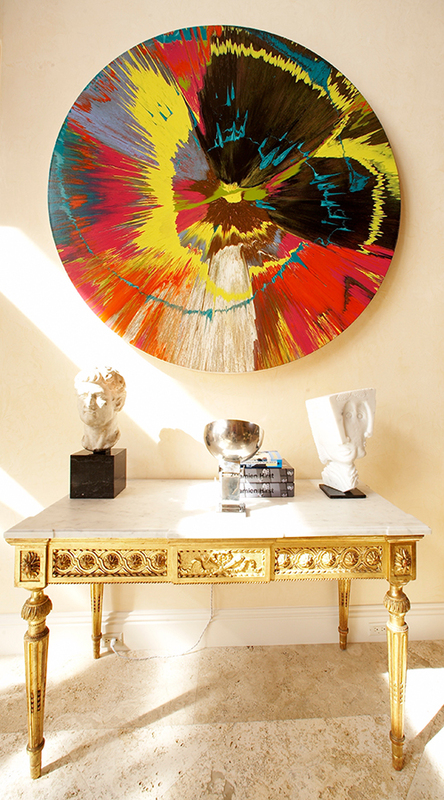 The spin paintings are characterised by the works’ elongated titles, which begin with ‘Beautiful’ and end in ‘painting’, and their bright colours. The series began in earnest in 1994, when Hirst had a spin machine made whilst living in Berlin. A series of his machine-made spin drawings were subsequently exhibited at Bruno Brunnet Contemporary Fine Arts, Berlin, later that year. The exhibition ‘making beautiful drawings: an installation’, invited visitors to the gallery to make their own free drawings on a spin drawing machine made from a drill. 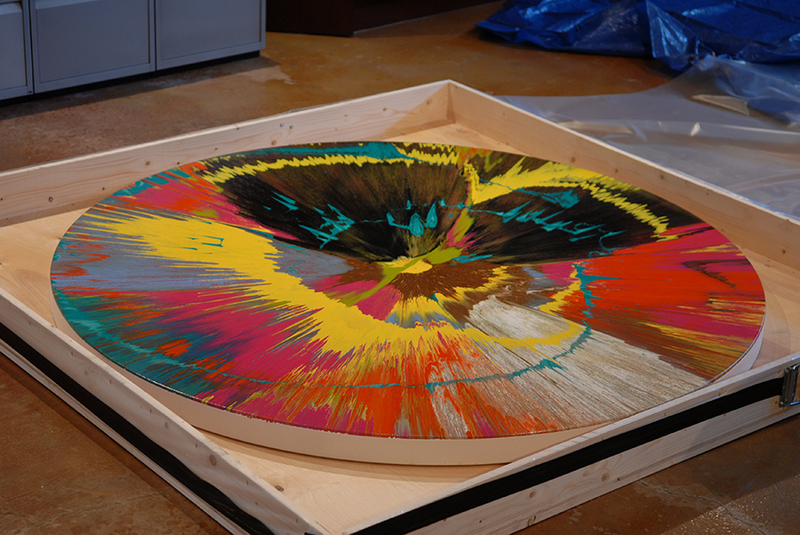 The first Berlin-made spin painting exhibited was ‘Beautiful, pop, spinning ice creamy, whirling expanding painting’ (1995), at the Waddington Gallery, London, in 1995.